Y recuerda que: De bien nacidos es ser agradecidos. I just wanted to say THANK YOU for all the special things you do for me. THANK YOU my LOVE, for always making me FEEL like the MOST BEAUTIFUL WOMAN of the world. * THANKS for always listening to me, suporting me and encouraging me. You're a TRUE FRIEND and I wanted you to know how much I LOVE an APPRECIATE YOU. YOU are the BEST. * To my FRIENDS, THANKS for being there for me. I'm really GRATEFUL for you. * THANK YOU for the way you LOVE me. * THANK YOU for showing me that there are people like YOU in this world. * THANKS for your support and understanding. * THANK YOU for always making me FEEL SPECIAL. * The LORD shows his LOVE for us through SPECIAL PEOPLE like YOU. THANK YOU for all your KINDNESS and THOUGHTFULNESS. * THANK YOU. Your LOVE and SUPPORT has been a BLESSING. * THANK YOU for the GIFT of another day. * THAK YOU for make LAUGH when I'd almost forgotten how to. * GRATITUDE is the best ATTITUDE. * THANK YOU for being there when I needed you the most. THANK YOU for being such a GOOD FRIEND no matter what I did, but most of all, THANK YOU for being YOU. * Today I give THANKS to EVERYONE who has part of my LIFE'S JOURNEY. * I may not have everything I want in LIFE, but I'm BLESSED enough to have all that I NEED. For this I'm GRATEFUL. 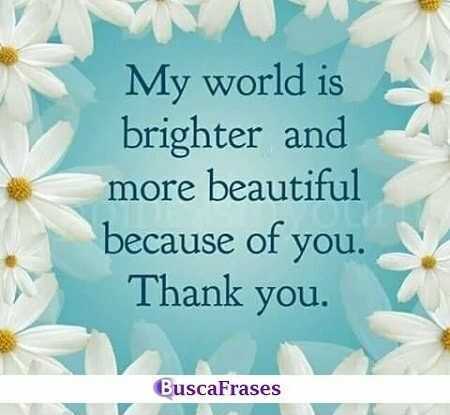 * My WORLD is brighter and more beautiful because of YOU. THNAK YOU. * THANK YOU to all for your prayers and good wishes. It gave me the strength to persevere and warmed my heart. * When LIFE is SWEET, say THANK YOU and CELEBRATE, and when LIFE is BITTER, say THANK YOU and GROW. * Sometimes I just look up, smile and say: "I Know that was you GOD. 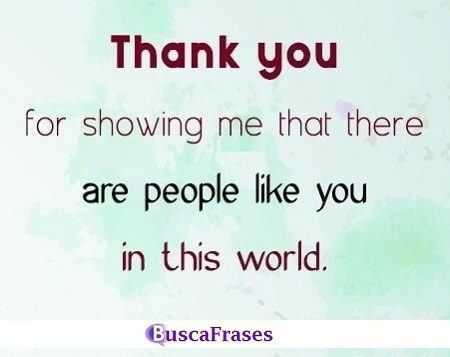 THAK YOU". * Dear GOD, form the bottom of my HEART, I want to THANK YOU for being there for ME, never LEAVING ME and always LOVING ME. * THANK YOU GOD for everything in my LIFE. The GOOD and BAD. Some were BLESSINGS and some were LESSONS. * It's really nice to wake up in the morning realizing that GOD has given me ANOTHER DAY to live. THANK YOU GOD. * Dear GOD I will never be able to THANK YOU enough for ALWAYS being there for ME. * Give THANKS for a little and you'll find a lot. For your PATIENCE and CARING, kind words and sharing, I just want to say: THANK YOU. Como siempre, esparamos que os guste la página y que os sea de utilidad.